A lot of our meals here recently are geared towards helping us feed our minds and our body's. I'm becoming a convert to the notion ''healthy body, healthy mind'' and a big part of that is re-educating myself in regards to food. 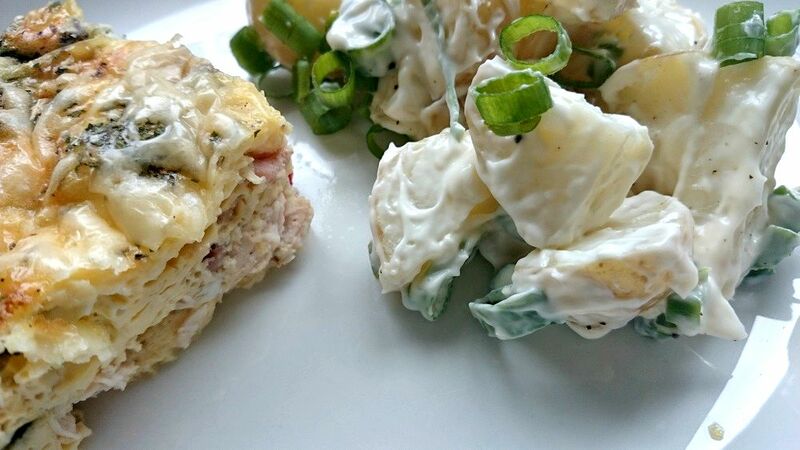 This has pushed us to be a little more open minded in regards to recipes and this particular dish was thrown together with whatever we had lying in the fridge. 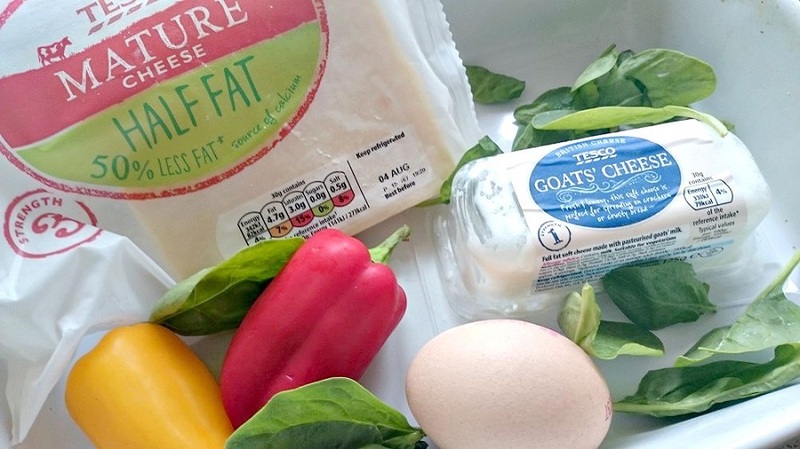 It turned out rather well and so I thought I'd share it with you as it's a great protein packed dish that is also very low-fat friendly, if you're adhering to that kind of thing! 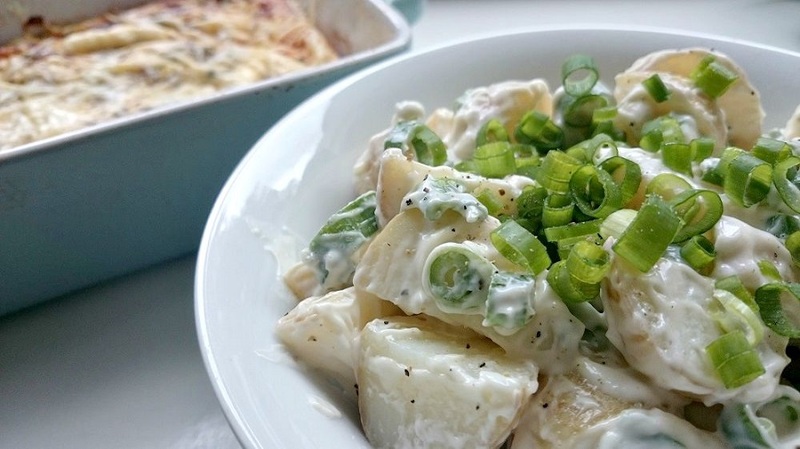 I've also included a quick-fire recipe for a great homemade potato salad that hardly takes any effort at all, makes a great side for this dish and is always annihilated any time I make it. - Roast chopped peppers, sprayed with Frylight and seasoned with salt & pepper. 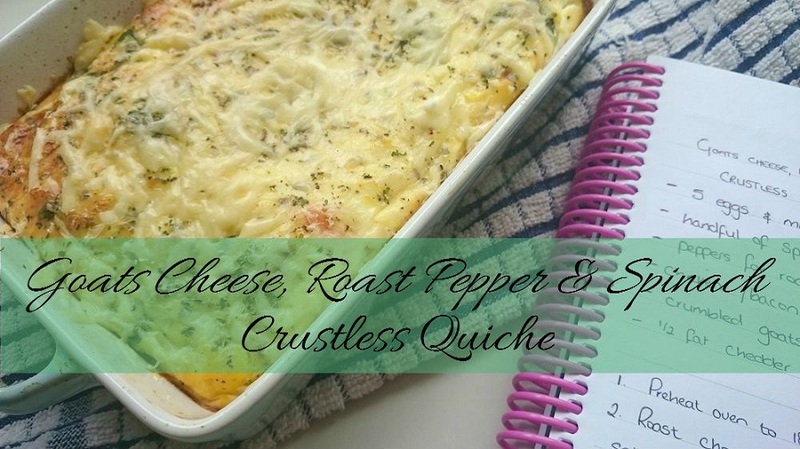 Do this in the dish you'll be making your crustless quiche in!